Sometimes a fun little pistol comes along. In the case of the Recoil, it’s a simple, single shot blaster with a bonus. 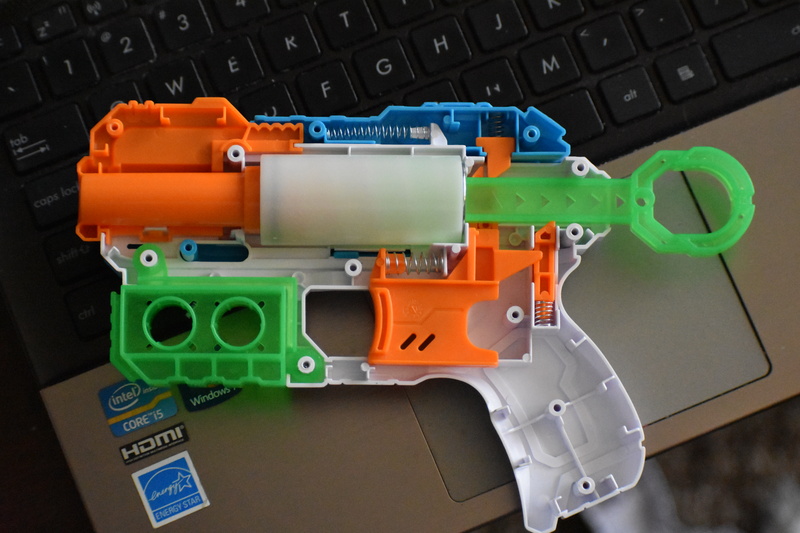 The slide actually retracts and then returns on trigger pull, giving the blaster its “recoil”. With or without a dart loaded to fire, it’s a fun effect that completely sells the blaster. I found the Adventure Force version at a Walmart Canada. The US version, marketed as the Pulse or Kickback, has been seen in the toy sections of places like Burlington Coat Factory. The Recoil is a simple thing. You pull back the plunger rod, it catches, and then you press the trigger to fire. At the bottom of the blaster is extra storage for two darts. In addition, the slide is spring-loaded. A lever underneath the plunger rod is moved by the trigger. This moves the slide backwards, until the lever moves out of the way, letting the slide move back. Letting go of the trigger resets everything once a final spring-loaded tab moves out of the way. There’s not much more to write about. It is a rather small blaster, including the grip. It’s obviously geared toward younger users, but I found myself playing with it for hours after purchase, as if it was a stress ball. The shell is solidly built, as is the trend for recent Xshot blasters. The Recoil has excellent stats for a single shot blaster. The included darts (lighter than most) hit 77fps on firing. 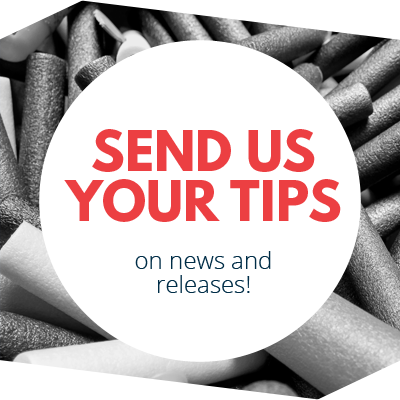 More importantly, Nerf Elite darts were averaging 73fps, showing little performance loss due to dart type. For $5CAD, those are quite excellent results. 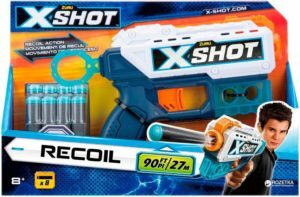 The Xshot Recoil is a great blaster for a great price. Even if you don’t have darts to fire, it’s far more entertaining than it has any right to be. Gimmick blasters aren’t usually valued greatly, but when the gimmick is an extra on top of a good blaster, it’s well appreciated. 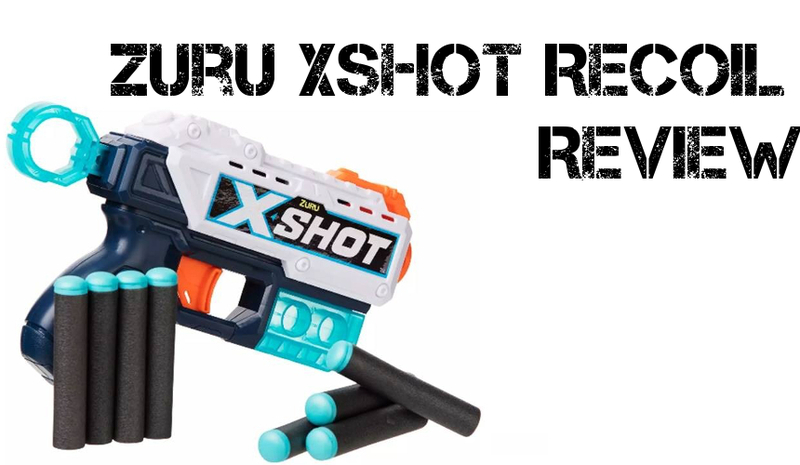 This entry was posted in Dart Blasters, Reviews and tagged 2018, blaster, blaster hub, recoil, review, xshot, zuru on June 5, 2018 by BuffdaddyNerf. Nerf N-Strike Elite Delta Trooper Review Xshot Flying Bugs Dropping in Next Month! 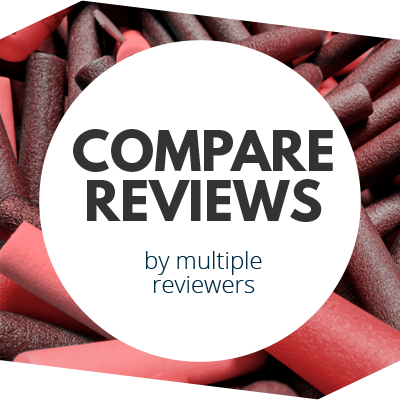 More new blasters are being reviewed. Where do you even get the newer X-Shot blasters, anyway? I only ever saw the white/blue ones at Toys R Us, and that place will be gone soon (the nearest one is down to Bug Attack IIRC). I’ve seen X-Shots at Target and Fred Meyer but not much that wasn’t Bug Attack. Most recently I was at the nearest Walmart but it’s pretty thin on blaster stuff right now; the only X-Shot material I saw was AF-colored Excel darts. Based on his response to my reddit thread, he lucked into finding 2 of the adventure force branded recoils in a Wal-Mart in the frozen north, in the land known as Canada. I found my Turbo Advance at Toys R Us in April, my Rapid Fire 6 at a local Family Dollar, my MK-3 at Wal-Mart and my Micro at Wal-Mart. Also found an older generation of the MK 3 at Tuesday Mornings. Waiting VERY impatiently for the recoil and the TK 4, the TK 4 is a great size for a holdout blaster and the recoil is gonna be my go to fidget toy in my home office. Zuru won’t respond to my questions about availability on their Facebook page. 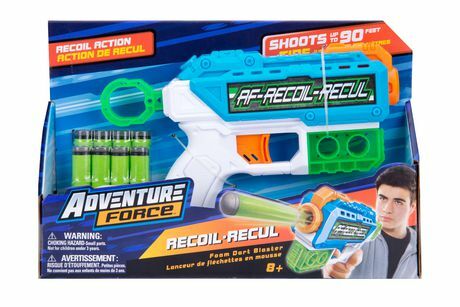 Almost to the point of trying to buy some recoil 2 packs of blasters from England (7.99 gbp for a 2 pack) and seeing if I can sucker a company into free shipping stateside somehow. Similarly, I found the Regenerator and Turbo Advance at TRU in April. Here in CenTex, I don’t think I’ve seen any more of the new color scheme.